Lettuce Learn founder, Courtney Baines Smith, will be one of the featured speakers at the faculty forum on outreach in sustainability & environmental education. The goal of this Forum is to provide faculty members with an opportunity to share outreach successes and experience and to develop connections that could lead to future outreach collaborations. 2:10-2:30 Small group discussions (with cookies!) on: Needs? What limits involvement/impact? How can we leverage existing resources of ASU? What can ASU provide to community? The Lettuce Learn Project will be one of three projects presented to all dinner attendees and will be awarded with a percentage of the money raised from dinner ticket sales (60%, 30%, or 10% of the crowd-sourced funds). 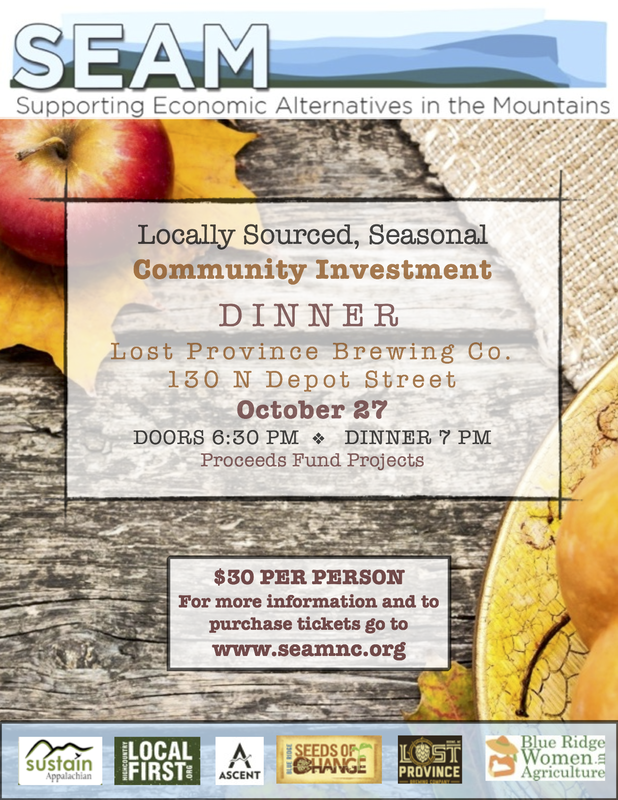 The dinner will be held at Lost Province Brewing Co. with doors opening at 6:30 pm and the dinner beginning at 7:00 pm. The meal is nearly all locally-sourced and will feature Lost Province's wood-fired oven. Vegetarian, gluten-free, and dairy-free options will also be available. Eat a delicious meal, hear great ideas, and help support your community! Join us at the ASU Child Development Center Learning Garden to celebrate the International Day of Peace by learning how to make your own recycled Peace Flags. We will provide materials for you to make peace flags to hang in your garden, home, school, or organization. Great for kids of all ages. Suggested donation $10/person. All proceeds will go towards the ASU Child Development Center Learning Garden to help us build a tool shed, compost bin, and better irrigation for our pre-K learning garden. 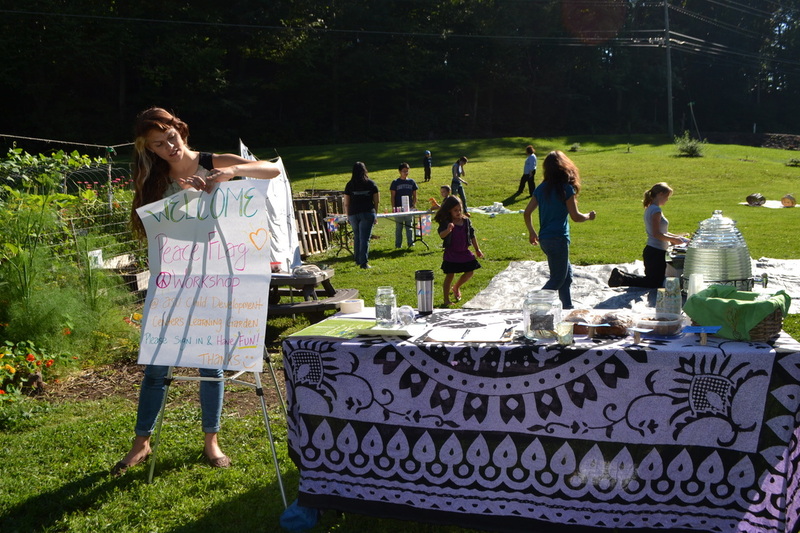 Our Very First LEARNING GARDEN WORKSHOP was a great success! Thanks to all those who attended "Outdoor Sustainability Classrooms: The Many Benefits of Learning Gardens"
Are you interested in exploring the connections between sustainability education and learning gardens? How do gardens help young people grow? These and other questions will be discussed in a hands-on workshop in a real-life learning garden. The workshop is designed for formal and informal educators of kids of all ages. 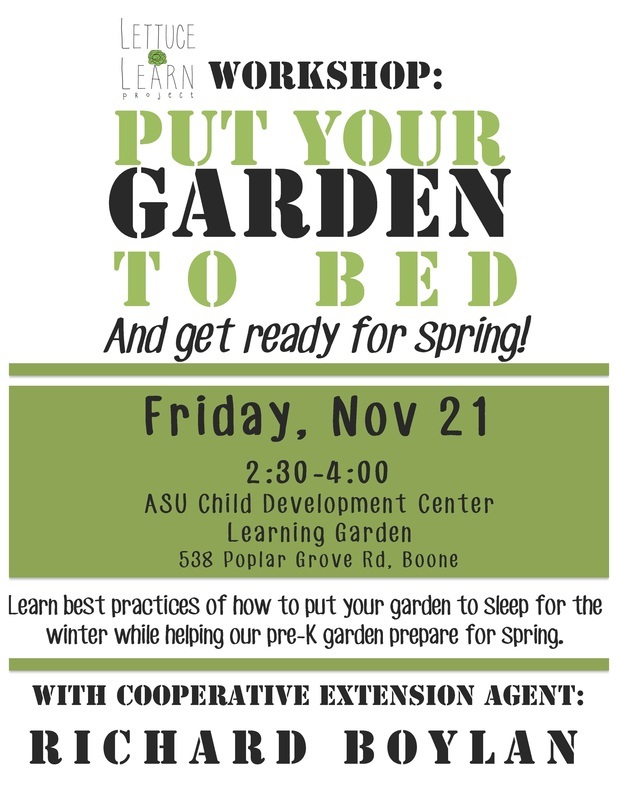 Anyone who's interested in using gardens as a teaching tool is welcome to attend! 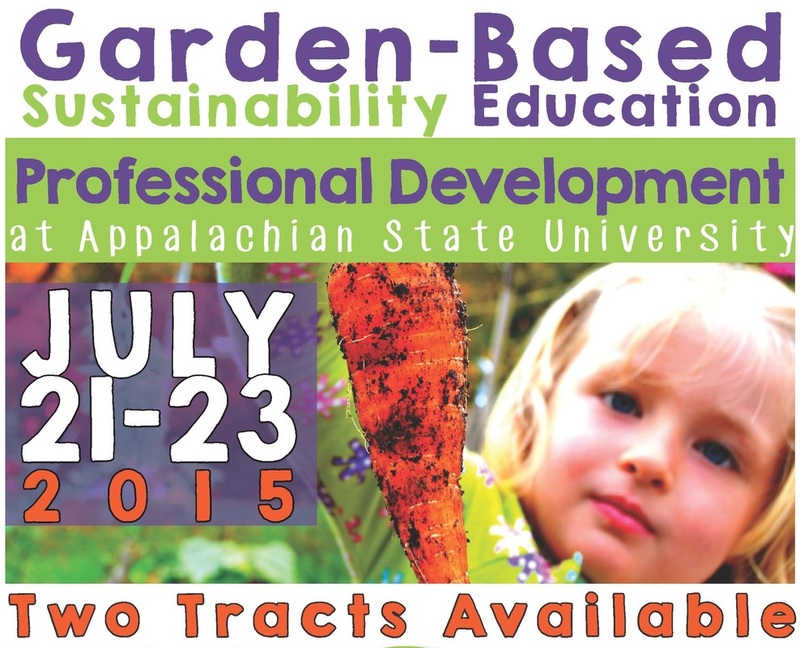 WHO: Sustainability & garden educator, Courtney Baines Smith, will facilitate the workshop. She has sprouted numerous learning gardens across the state and brings over seven years experience with sustainability education at Appalachian State. High Country Local First, The Edible Schoolyard, Greening My Plate and Lettuce Learn are the main sponsors.